As a global industry, email marketing is expected to grow to as much as US$22.16 billion in value by the end of 2025. Considering the massive opportunity this channel provides, it seems obvious that the quality of a business’s email marketing database should be high priority. Yet research shows that data quality remains a critical challenge for marketers. 46% of marketing influencers say improving marketing data quality is the most critical challenge to marketing data success. Gartner estimates that poor data quality costs the average business $13.5 million each year. 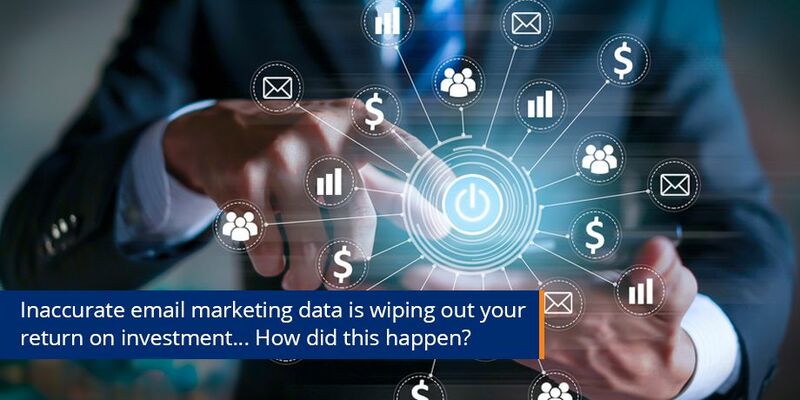 You may be ‘pretty sure’ your email marketing is meeting business goals, like increasing sales or signups, but it’s imperative that you continually invest in data quality. What are the MOST SIGNIFICANT BARRIERS to marketing data management success? Not sure about the quality of your data or how to improve it? Remember: Data quality is a journey, not a destination … keep at it. Read more about the importance of data quality and how Striata can help enhance your email marketing data, so your marketing efforts can yield a greater ROI. The value of Big Data in email marketing and Has your email marketing data had a health check?